Check out this screen shot. Let’s say your looking to get a free estimate to finish your basement. 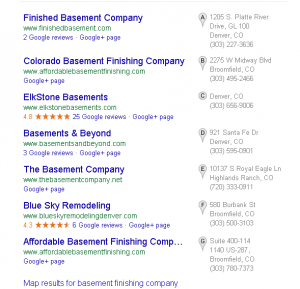 You search basement finishing company. Who would you click on? I’ll bet your eyes were drawn to the two companies that have those 5 stars and a numerical rating. 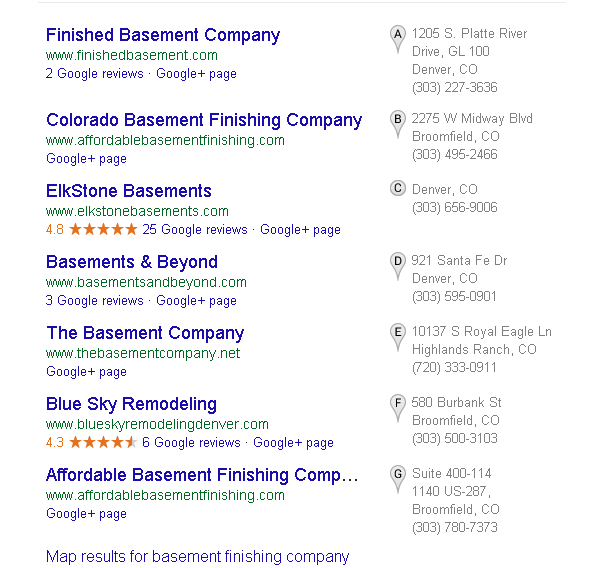 When you complete this search the screen is larger and the reviews are even more prominent. Do your client or business a favor. Ask your customers to leave a Google review. It not only helps click through s, but it can also help your rankings. More reviews, more clicks for people searching for your service. There are correct ways to ask, and it’s important to follow the Google review guidelines. If you aren’t familiar with those here is a link to the Google review guidelines. Sort By Star Rankings on Google Maps. Another Reason To Encourage Legitimate Google Reviews. Need another reason to encourage your customers to leave a review on Google for your company? Searchers can now sort the Google Map results by the number of stars your average reviewers give. See below for a screen view. 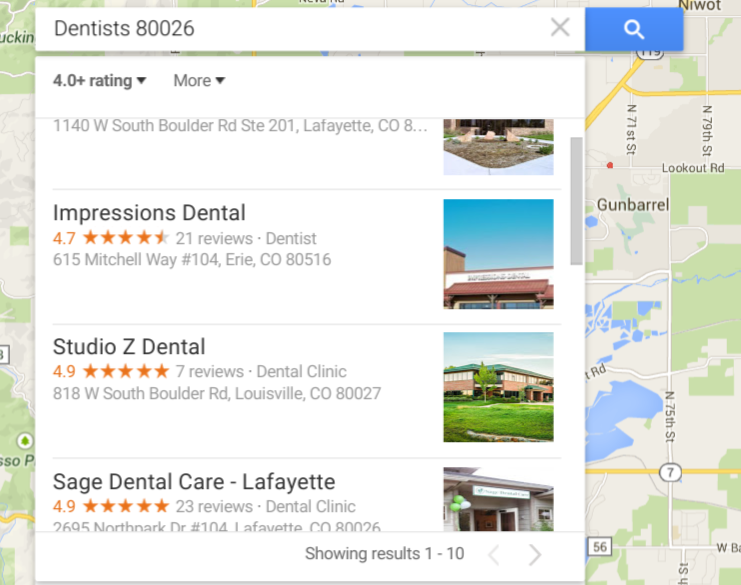 I sorted Dentists (just using the term Dentist) by 4 star reviews only. See the 4.0 sort on the top left? Go get those reviews folks, but be aware there is a right way to do it. More on that when I have the time.